For the very best in skiwear, summer wear, mountain wear, shoes, accessories, luggage and equipment. 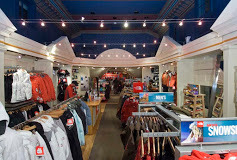 We have unique The North Face products that few stores carry! When you want the best gear, winter or summer!